The purpose of blasting steel is to clean the substrate and produce a surface profile . This is the etched surface produced when the abrasive strikes the metal. The surface profile allows modern corrosion prevention coatings to adhere. Corrosion prevention is less costly than replacement of a structure. Shot Blasting Shot Peening Glass Beads is the surest, most cost effective way to remove foreign matter and provide the right surface profile. 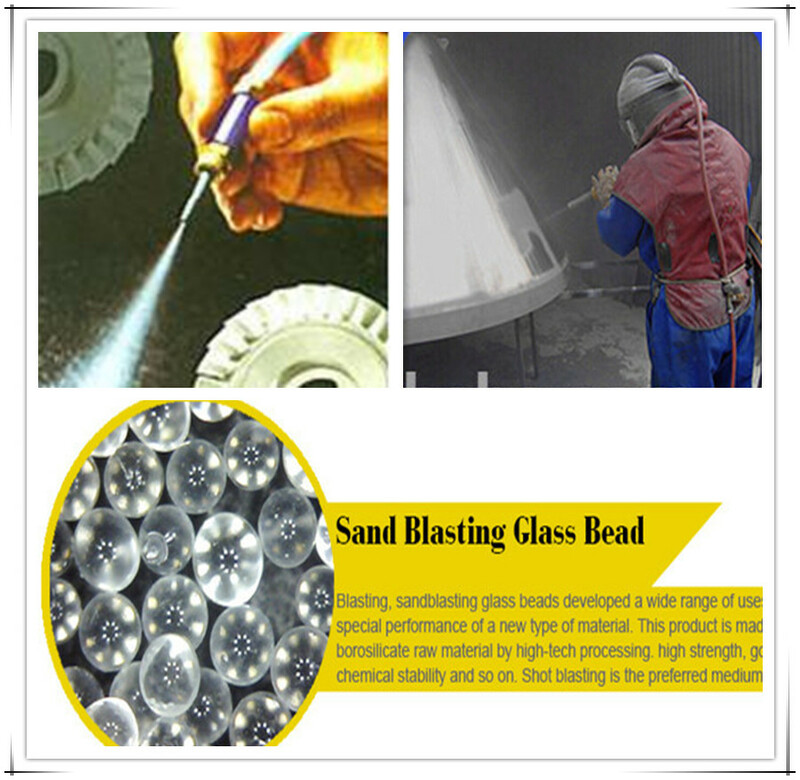 Shot for peening Abrasive Blasting Glass Beads must be spherical, but can be made from cast steel, cut-wire, stainless steel, glass, ceramic and other materials. As each particle of shot strikes the metal surface, Polishing Blasting Grinding Glass Beads produces a rounded indention. The primary reason for shot peening is to generate an even compressive stress pattern and to eliminate microscopic defects in the surface of the parts. Shot Peening Shot Blasting Glass Beads improves the permissible stress levels for various material and, therefore, improves cycle service life. Glass Bead has unique characteristics that fit specific uses. Do not confuse Glass Bead with Glass Abrasive, they both have their places, but are used for completely different purposes. You will be disappointed if you expect the same results. Blasting Glass Beads has the features of chemical stability, high mechanical intensity and hardness. Aglass beads for sandblasting can be jetted onto the object surface with compressed air and can be used on compress glass, rubber, plastic, moulds with metal casting or compressing. The jetting balls would help reduce elasticity of the surface materials and increase wearing capacity. Abrasive blasting glass beads are widely used for blasting and polishing purposes, Glass Beads for blasting can be used for cleaning the moulds for forging, casting , glass, rubber, etc., Glass Beads for blasting for removing of the tensile stress and increasing and improvement of the corrosion resistance and fatigue life of the component such as aircraft engine turbine blades, haft, landing gear, springs etc., Abrasive Blasting Media for decorative finishing of the component surfaces, etc.It is used for cleaning the turbine, blade and axle of the airplane engine. Our usual packing, reflective glass Beads, is 25kg pp bag,1000kg pp bag with wooden pallet.Special packing can be made as customers's request. Looking for ideal Shot Blasting Shot Peening Glass Beads Manufacturer & supplier ? We have a wide selection at great prices to help you get creative. All the Grinding Media Glass Beads are quality guaranteed. We are China Origin Factory of Dispersing Media Glass Beads. If you have any question, please feel free to contact us.